Create Software Boxes, Create Covers ( Ebook Covers, Software Covers etc. ) 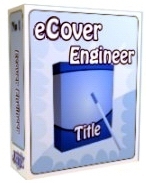 - eCover Engineer The first impression is very important for a potential customers. Create Software Boxes, Create Covers Tool - eCover Engineer The first impression is very important for a potential customers. And the first thing that they encounter when they meet your product is the ecover. That's right! . And for many of them this is the moment they decide to proceed or to search for another product. If you have a beautiful ecover or software box, they are half convinced. But there is another problem. A professional cover for software costs hundreds. Some of them need to be updated. Why spend so much money on something that you can do for free. Why waist precious time on something that you can do in a few minutes. Design your ebook covers or your software box with minimum costs. Use our free templates to create amazing covers for your products. --14 image filters, 5 border styles, 7 fill styles.